Following in the sustainable-semi steps of Tesla, Volvo, and Cummins, Nikola Motor Company recently announced that it, too, is working on two new electric semi-trucks that will be announced in April. 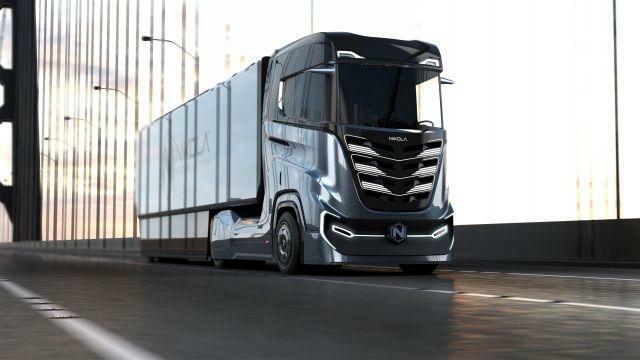 This past week, American hybrid truck company Nikola Motor Company announced that it is finally joining the rest of the automotive industry in the battery-electric powertrain revolution. According to a tweet published last week, company CEO Trevor Milton will be announcing BEV versions of the Nikola Two and Nikola Tre trucks but not the Nikola One -- that model will remain a FCV only, meaning that it will be powered by a hydrogen fuel cell instead of a battery. According to the tweet, the BEV versions of both trucks with be available in 500kWh, 750kWh and 1MWh options, which owners can select based on their need. In general, the company says that hydrogen is better for those long hauls, whereas BEV will be ideal for short hauls.